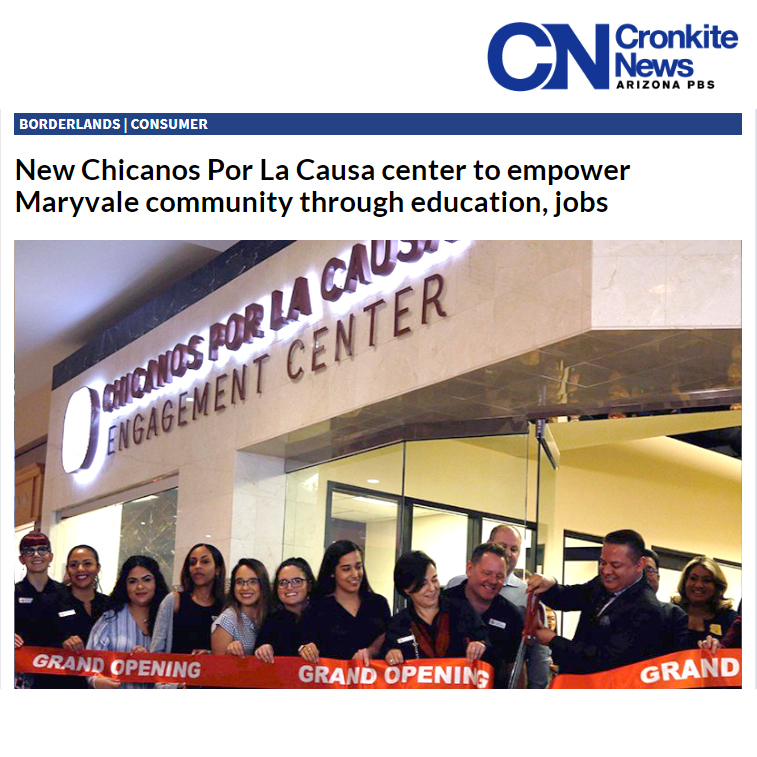 Our community partner, Chicanos Por La Causa (CPLC) has a new Engagement Center in Maryvale to help empower west-side locals through education, job skills training and youth engagement programs. This Cronkite News story provides a brief about the services available-- including educational advisement and counseling from Rio Salado and the Maricopa Community Colleges. “We are here to offer access to information and opportunities for anyone in the community, young and the not so young, who has a need for betterment in life, access to a job or better jobs,” said Maricopa Community Colleges Chancellor Maria Harper-Marinick. The 8,200-square-foot center located at Desert Sky Mall is open 7 days a week—and allows CPLC and its partners to host job fairs, workshops, GED® test prep classes and other workforce programs. Rio Salado and Maricopa Community Colleges counselors will be available at the center on the weekends to help students enroll in school and review their education options. LaTina Watkins, a Rio Salado student success coach is using the center to secure resources for students she serves at Rio Salado’s Thomas location. “Rio Salado and Chicanos Por La Causa is giving opportunity to low-income families, or minorities, or even just people who don’t know exactly what they want to do with their lives or how to go about doing things in their lives,” Watkins said. Chicanos Por La Causa, Inc. (CPLC) is one of AZ's largest nonprofits, with services in Housing, Economic Development, Education, and Health/Human Services. To learn more, visit cplc.org.